Volvo refined, relaxing and rewarding. 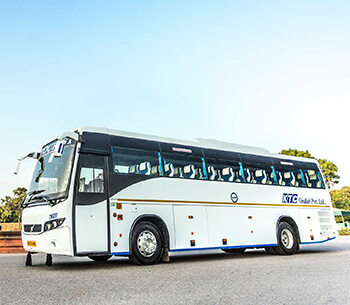 It’s not only the comfortable and pleasant interior, it's also our genuine dedication to providing a safe and secure journey to the passengers with upto date facilities like in built washrooms, seat belts, well functioning Air conditioners and a comfortable recliner seats. KTC has been building up its flourishing business since 1943. We have a large fleet of cars at our firm. We are your one-stop-shop if you are looking forward to renting a Mercedes, an Audi or a brand new Rolls Royce! We offer extravagant services at esteemed hotels and embassies as well. Apart from providing a seamless and stress-free experience to our patrons, we believe that we can learn a lot from our clients as well. We carefully consider each and every requirement our esteemed customers share with us. Though our huge section of exotic cars is sure to sway you in a lavish treatment, our carefully selected chauffeurs are adept at handling all your basic amenities. This hand-picked lot go through a detailed selection procedure to make sure our clients do not face any inconvenience. As safety is our primary concern, we conduct a thorough background check before hiring them in our prestigious firm. If a chauffeur driven car is not your familiarity we provide rental services for self-driven executive automobiles of a wide range. As much as we value our customers, we value being a part of their special moments in life. Offering wide varieties of elite automobiles from vintage collections to modern sleek and slim designs we specialise in providing our services in various events such as wedding, conferences and other services such as picking up VIP delegates from the airport, booking rail tickets for luxury trains, providing private aircraft and hosting prominent personalities from around the world. 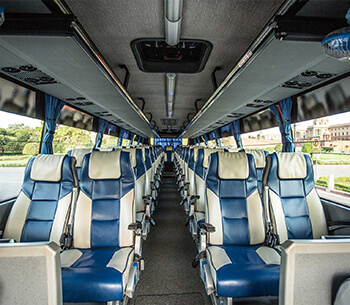 We also offer luxury coaches on rent to families, businesses and the likes when they plan of taking a business trip or a family holiday. 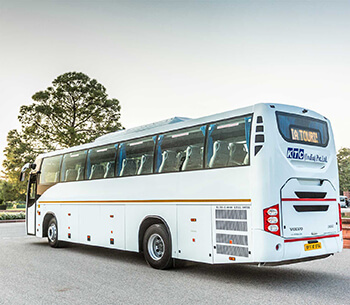 Volvo is known for their technologically advanced vehicles, high levels of safety and comfort they offer to their patrons through their vehicles. 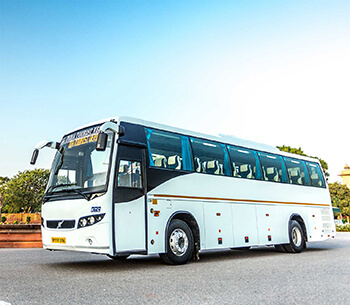 After making a name for themselves all over the world since their inception, the company finally entered the Indian market with their personal and commercial vehicles. Delhi is known for its nerve-wracking traffic and uncomfortable driving conditions. 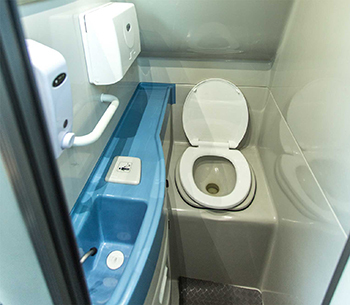 In such a situation, if you are looking for Volvo rental coaches or Volvo coaches with washroom facility, you can get in touch with KTC India for a seamless experience. The company has proven its merit since its inception to be a customer-centric organisation. 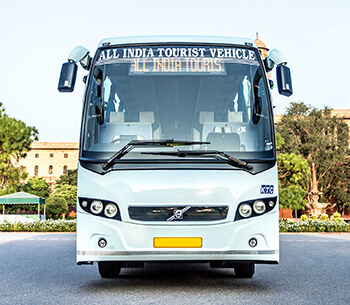 They are undoubtedly one of the best service providers when one is looking for Volvo bus hire in Delhi. For further details, you can take a look at the testimonials and reviews of both the past and present patrons of the company. Being in service for many years, we at KTC has the experience and expertise through which we can handle the needs of our clients with diligence and care. Each and every Volvo coach we have in our fleet is kept in their prime electromechanical condition. We have strong ties with the engineering team at Volvo that allows our fleet to be regularly inspected for mechanical and electrical flaws. We care for the safety of our customers which is why such steps are frequently taken here at KTC! Feel free to give us a call as we prefer human interaction over using mobile apps which keeps us ahead from the competition!